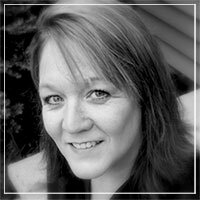 Dixie is passionate about being a mother, writer, fundraiser, and advocate for the disabled. She is not just the mother of eight children, ages ranging from 5 to 25 – She is also the mother of a child who suffered a severe traumatic brain injury. Dixie has become a writer of caregiving articles, both on the web and in health and medical-related magazines such as the Health Monitor. Dixie shares precious tips for other parents who face a traumatic injury or illness. She also provides caregivers support, resources and advice. She recently won an honorable mention in the trade category of the book proposal contest held in conjunction with Harvard Medical School’s Continuing Medical Education Course titled “Publishing Books, Memoirs and Other Creative Nonfiction.” To reach an even wider audience and to help others who unexpectedly find themselves thrown into extreme medical situations, Dixie wrote UNTHINKABLE—A Mother’s Tragedy, Terror and Triumph through a Child’s Traumatic Brain Injury. Its very real story offers insight into the heart and mind of a mother’s soul as she tries to make sense of her new and altered world after her child’s brain injury. Motherhood Talk Radio is powered by Motherhood Incorporated, bringing you the most powerful voice in women’s issues today. Motherhood Talk Radio airs on Toginet.com every Tuesday, 3 pm pst, 6 pm eastern.